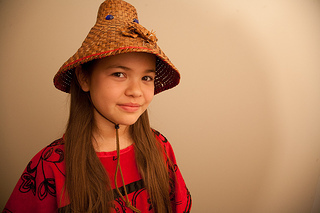 12 year old Ta’Kaiya Blaney is Sliammon First Nation from B.C., Canada. Along with singing, songwriting, and acting, she is concerned about the environment, especially the preservation of marine and coastal wildlife. She travels and speaks on protecting indigenous lands worldwide from unsustainable development. This entry was posted in Make No Bones Shows, Uncategorized and tagged Chief Phil Lane Jr., Connecting with Spirit, Earth Revolution, First Nations, Honoring, http://www.takaiyablaney.com/, Human Rights, KAOS 89.3 FM, Make No Bones About It, Native Woman, Sliammon First Nation from B.C, Ta’Kaiya Blaney. Bookmark the permalink.